I regularly meet with new authors eager for attention for their work. For many, a full-time publicist isn’t an option. Fortunately, today’s media landscape is rife with opportunity for the DIYer. I was inspired to put together this short list of suggestions after more than two decades of working in book publicity and, very recently, becoming an author myself. Is it subjective? Yes. But I guarantee that it’s a great place to start when you find yourself thinking you should do “something” about your PR. 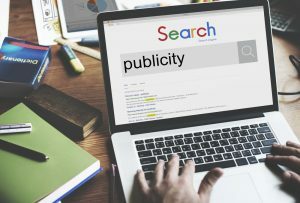 These tips are specifically for those promoting their own work, but if you have a publicist, they’re still a great place to start and will make you an awesome and collaborative client. For best results, start these activities after you’ve turned in your final manuscript, but well before the book goes on sale. Outline 10 articles you could write that support your book’s thesis. If you have time, write a draft version of two or three of the pieces. Content equals power in today’s information economy, and having some in your arsenal, ready to be turned into a byline on short notice, gives you a decided edge in creating momentum for your book and ideas. Reach out to anyone in your network who hosts a blog or features content on their site, and offer to contribute as the book hits the market. If you have your own blog, save a few pieces to run there. Repost any content that you feature on your own blog to LinkedIn to get as much exposure as possible from the pieces you create. If you don’t have a blog, use the publishing platform on LinkedIn as a forum for your ideas. Further, be sure to share, via this channel, any bylines that you’re able to place with a media outlet. I have become a big fan of LinkedIn since the company reconfigured its offerings—creating an information hub that sits alongside its job hunting function. Write yourself a two- or three-line bio that includes mention of your book and, if it isn’t obvious in the title, what the book is about. Pay close attention to keywords, as using the right ones will dramatically increase the chance that a journalist might find you if news erupts in your area of expertise. Adapt the bio for style and tone, and use it across all your social media channels, on your blog, your company website, and any other channel where you have access. Written interviews, or Q/As, as they are commonly called, are wildly popular with time-starved bloggers and journalists who are eager to provide information to their audience. Write several versions, posing the questions you’d love to be asked and answering each in a tidy, concise paragraph. These are valuable in two big ways: they give interviewers who lack prep time (and have not read your book) a good place to start the conversation, and they serve as more of that ready-made content. Spend a few minutes researching which publications feature interviews, and offer them up. We’ve seen them land at outlets as large and prestigious as The Huffington Post. An effective way to alert your network without relying completely on a mass announcement (that may never be opened) is to imbed the information into your email signature. Even better if you can include a nice graphic that links to a bookseller. I love this one because it’s perfect for those of us (yes, me included) who feel awkward with emails that trumpet our own accomplishments. This is a subtle way to remind those you do business with that you are celebrating publication. And make no mistake: publishing a book is cause for celebration. Create a list of the top 10 media hits you’d like to have for your book. For one month, monitor the material in these media outlets and understand the kind of content they feature. Then, ask yourself if you can still imagine them covering your book and, if so, how. Armed with this list, you can then focus on getting not just a “national hit” but coverage in the Leadership section of Fortune or an OpEd in The New York Times. Understanding how a media outlet that you covet actually covers books goes a long way in setting solid, realistic goals. Too many people want coverage in outlets they love without truly understanding if they’re a good fit. The bonus of taking on this task list is that those plaguing, 2 a.m. nightmares that your book will be published without any notice at all will instantly vanish. Well, at least most of the time.